New evidence may finally help put the chill on skeptics' belief that long-term global warming occurs in an unpredictable manner, independently of external drivers such as human impacts. 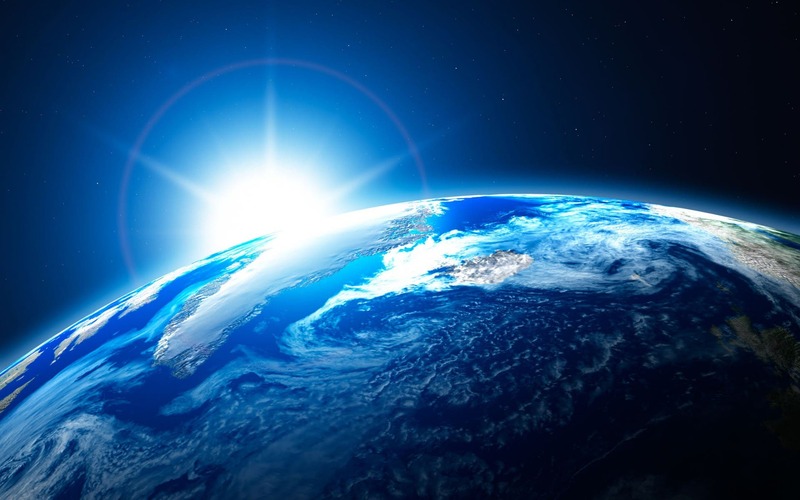 By examining how Earth cools itself back down after a period of natural warming, a study by scientists at Duke University and NASA's Jet Propulsion Laboratory confirms that global temperature does not rise or fall chaotically in the long run. Unless pushed by outside forces, temperature should remain stable. "This underscores that large, sustained changes in global temperature like those observed over the last century require drivers such as increased greenhouse gas concentrations," said lead author Patrick Brown, a PhD student at Duke's Nicholas School of the Environment. Natural climate cycles alone are insufficient to explain such changes, he said. Using global climate models and NASA satellite observations of Earth's energy budget from the last 15 years, the study finds that a warming Earth is able to restore its temperature equilibrium through complex and seemingly paradoxical changes in the atmosphere and the way radiative heat is transported. Scientists have long attributed this stabilization to a phenomenon known as the Planck Response, a large increase in infrared energy that Earth emits as it warms. Acting as a safety valve of sorts, this response creates a negative radiative feedback that allows more of the accumulating heat to be released into space through the top of the atmosphere. The new Duke-NASA research, however, shows it's not as simple as that. "Our analysis confirmed that the Planck Response plays a dominant role in restoring global temperature stability, but to our surprise we found that it tends to be overwhelmed locally by heat-trapping positive energy feedbacks related to changes in clouds, water vapor, and snow and ice," Brown said. "This initially suggested that the climate system might be able to create large, sustained changes in temperature all by itself." "While global temperature tends to be stable due to the Planck Response, there are other important, previously less appreciated, mechanisms at work too," said Wenhong Li, assistant professor of climate at Duke. These other mechanisms include a net release of energy over regions that are cooler during a natural, unforced warming event. And there can be a transport of energy from the tropical Pacific to continental and polar regions where the Planck Response overwhelms positive, heat-trapping local effects. "This emphasizes the importance of large-scale energy transport and atmospheric circulation changes in restoring Earth's global temperature equilibrium after a natural, unforced warming event," Li said.